Ewen is the latest in what is becoming a long line of NHL enforcers dying prematurely. Most recently, former Calgary Flames defenceman Steve Montador was found dead in his home this past February. A veteran of over 600 NHL games, Montador's brain showed signs of chronic traumatic encephalopathy (CTE) according to a study at Toronto's Krembil Neuroscience Centre, where Montador had agreed to donate his brain after his death. Montador's family is pursuing a lawsuit against the NHL for its part in the head trauma incurred by Montador. Bob Probert, Ewen's opponent in six NHL fights, died in 2010 of a heart attack. After his death, Probert's brain was donated to the Sports Legacy Institute for study of the effects of concussions and other sports-related brain injuries. Researchers from Boston University found evidence of CTE in Probert's tissue samples. In 2011, three enforcers were found dead, all from unnatural causes, in a four-month span. Minnesota Wild and New York Rangers forward Derek Boogaard died in May of an accidental overdose of oxycodone and alcohol. 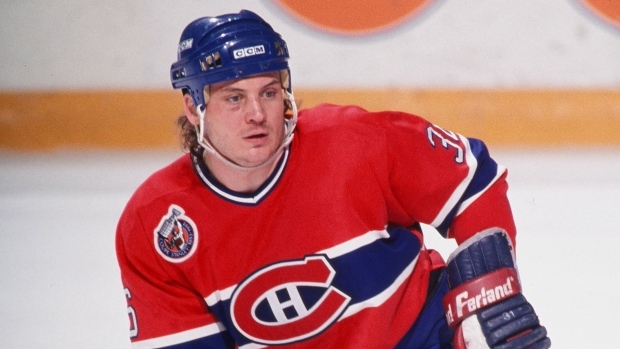 A posthumous study on Boogaard's brain, also at BU, found more advanced CTE than in Probert's. According to the study, Boogaard, 28 at the time, would have likely suffered from dementia in middle age. Vancouver Canucks forward Rick Rypien was found dead in his home in August. The cause of death was later confirmed as suicide. The 27-year-old Rypien had taken a leave from hockey as he struggled with depression for the better part of his career. Later that month, former Toronto Maple Leafs forward Wade Belak was found dead in a Toronto hotel room at the age of 35. A cause of death was never formally established, but his family believed it to be accidental. Belak's parents confirmed that their son, retired following a 16-year NHL career, too, had suffered from depression.